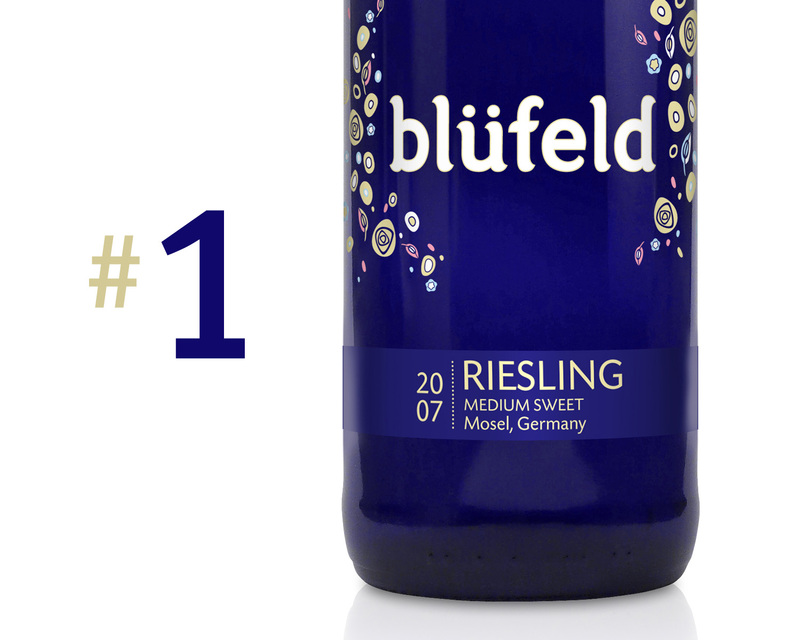 Blüfeld sold a record 350,000 cases, topping all competitors to become the most beloved Riesling brand in its class—less than one year after launch. 500,000 years ago, the Mosel River began to cut deep into ancient uplifting sedimentary bedrock formed nearly 400 million years ago. Mosel Valley now reveals two types of slate formed under enormous geological pressure: Red Slate; and Blue Slate. It is this living, shifting, continually emerging Blue Slate that generates such rich minerality and floral tones in Blüfeld Riesling. 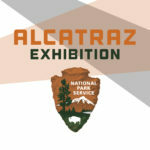 The nü white is blü. 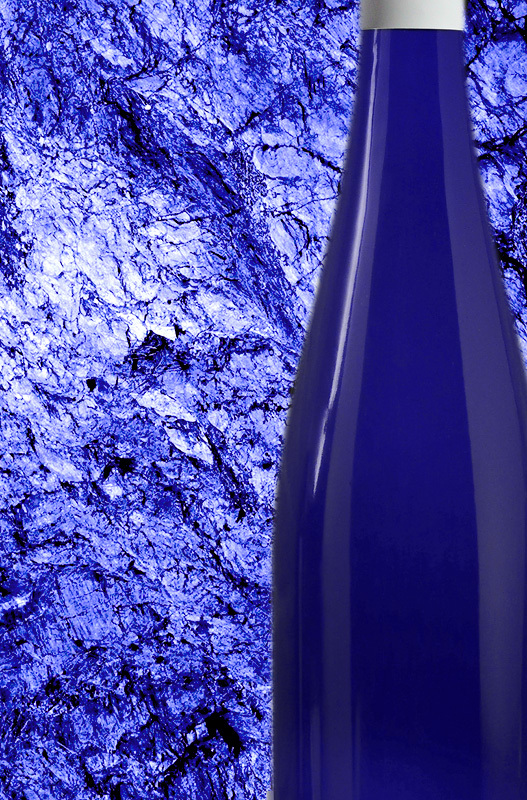 Cobalt blue bottle as the canvas reflects both the traditional Riesling decanter and blue slate terroir of Germany’s Mosel River banks, rich in cobalt minerals. 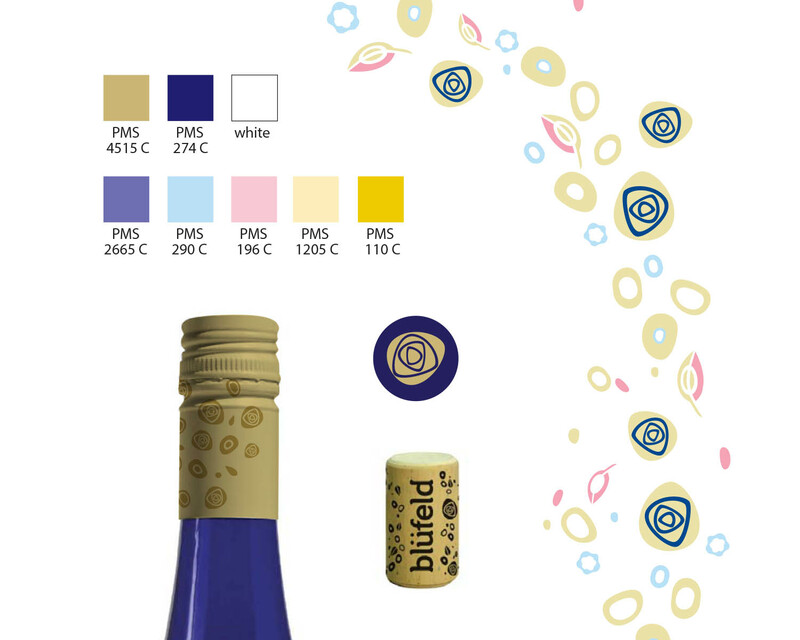 Blüfeld delivers a flavor profile that’s simple, medium sweet, with crisp floral tones. 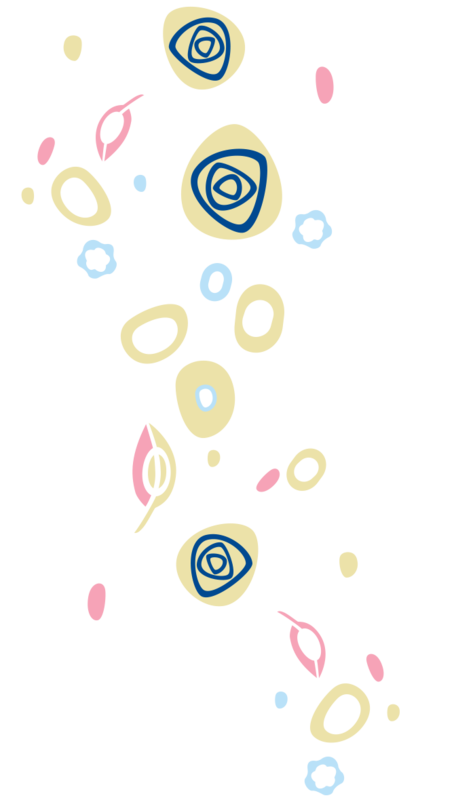 A burst of modernist floral motif characterizes the Mosel Riesling fragrance, and portends a refreshing respite. Modern, unmistakable. Moderately sweet, leaning feminine, but not overly so. A custom hand-drawn logotype identity is modern, geometric and clean, but with a warm unmistakably German calligraphic influence—just enough to reassure an authentic Mosel River appellation. The Blue Man Group kicks off the new Blüfeld brand launch gala celebration. 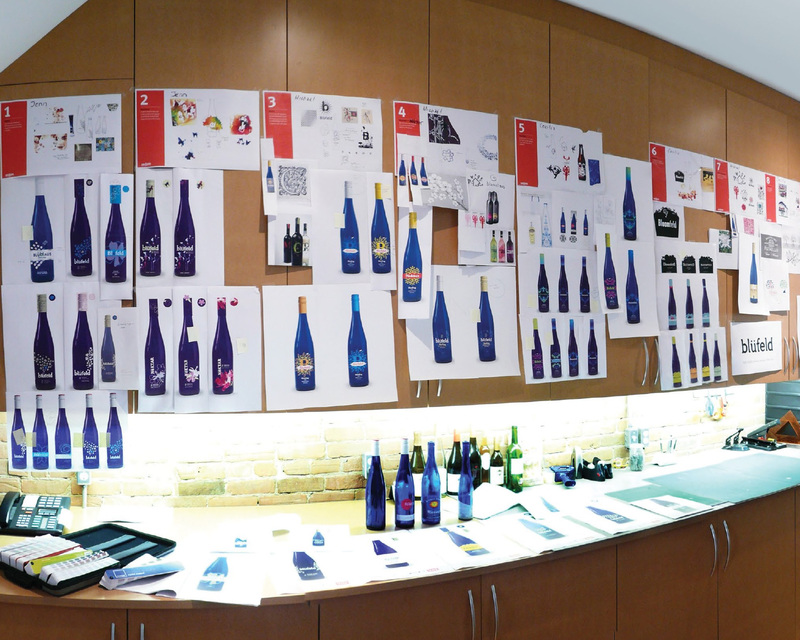 We explored scores of brand story, brand design, and brand experience variations that would authentically meet our creative criteria—across several semi-finalist name candidates. 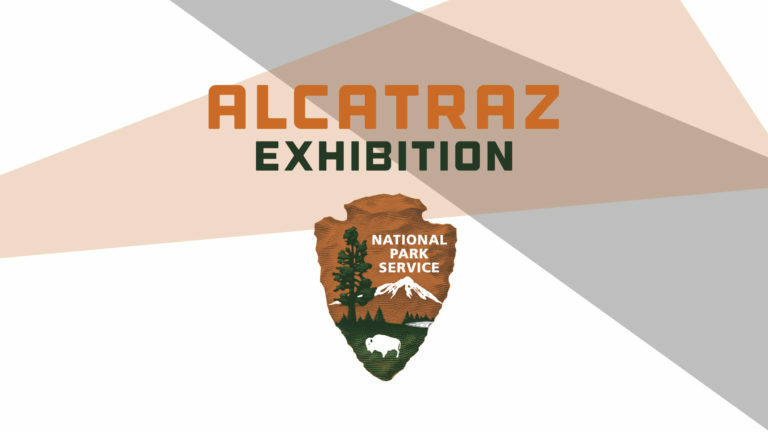 We also were tasked to design: Wine bottle labels/ cork/ capsule; Live event displays; Carton packaging; Labels; Point-of-purchase displays; Digital and website elements. We selected the name Blüfeld after careful consideration among a spectrum of respectable candidates. 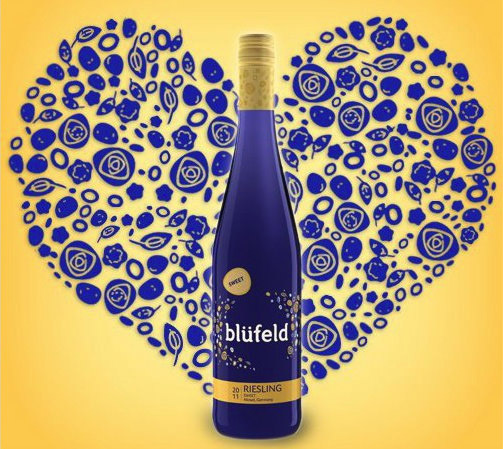 Blüfeld is a variation of the German words Blau (blue) and Feld (field)—a fitting title for a wine with authentic German origins, and that’s so viscerally tied to the unique Mosel River regional geology for its legendary flavor profile. The Blüfeld brand communicates precisely the right personality and feeling—authentic culture, heritage continuum, uplifting metamorphosis, and flavor profile bursting with mineral and floral tones. Introducing this perpetual evolution and surprise into the brand platform supports the Blüfeld story. 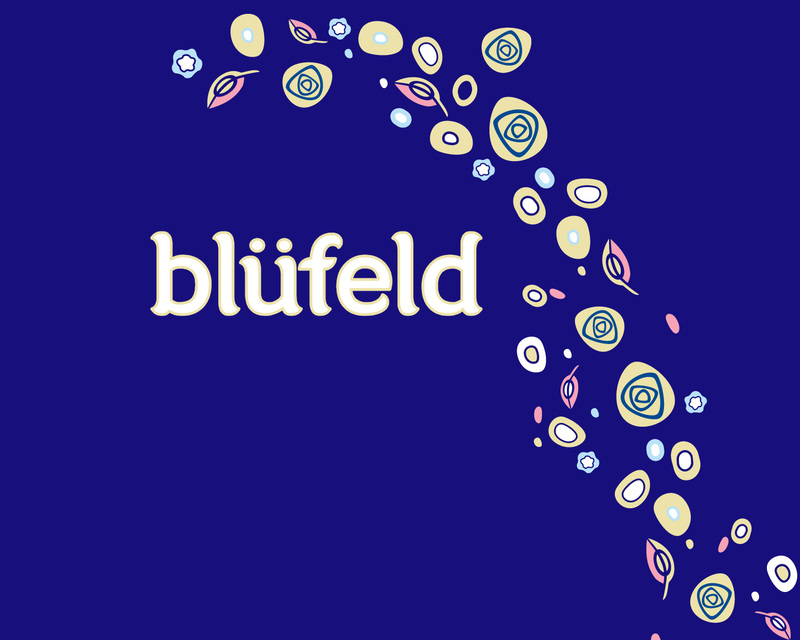 Blüfeld’s Romantic brand name, hand-crafted logotype, playfully modern floral elements and rich brand experience are a continuously evolving blue slate Mosel River terroir experience. Adventure is everything. Blüfeld’s vibrant success demanded what Romantic offers: Adventurous deep-dive research, analysis, planning, imagination and well-honed wisdom. Romantic brands rise above the din. Blüfeld rose above major domestic and international competitors to become the number one Riesling choice. On shelves filled with nearly 4000 different wine labels, people have choices—wine enthusiasts reached for Blüfeld.